The viewers can get 100 Mbps internet speed for as low as Rs.100 by providing the new Bandwidth on demand special Ramadan offer. 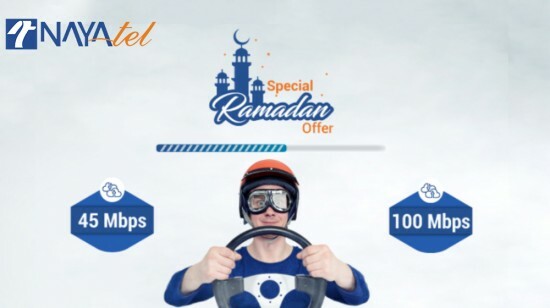 Nayatel has released the new exciting internet offer for the holy month of Ramadan and it is giving to the users up to 100 mbps speed for as low as Rs.100. 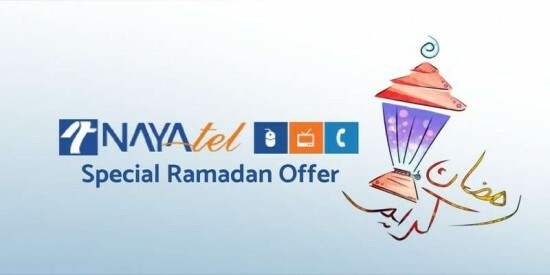 B y getting the bandwidth on demand special Ramadan offer, the users of Nayatel get the unlimited downloads and uploads the 45 mbps or 10 mbps from 03 am to 09 am. Now you can opt for one night offer or go all in and subscribe for the whole month of Ramadan. The users should note that the 45 / 100 mbps bandwidth offer will be available from 03 am to 09 am for the monthly and nightly subscribers. The bandwidth and download limit for rest of the day will get restored to primary Nayatel subscription, so it is advised to download high resource items during 3 am to 09 am. You can log in to your account on website of Nayatel and access Bandwidth on Demand option from the Customer Portal to open it. Click Customer Login provided on top right. Click the Bandwidth on Demand Button. Select BOD Special Ramadan Offer. Select Date, Time and Bandwidth. Following terms and conditions for Bandwidth on Demand service are provided to the users. Only Active Home and Connect package customers are provided with this service. For Connect Packages, BoD usage limit is twice charges of your monthly Internet package. For Home Packages, BoD usage limit is available in Charges Section. You can unsubscribe this service before 15 minutes of scheduled BoD session. In case of your monthly package plan change the scheduled BoD session, which will be same as per schedule. While you are using BoD, new Value Added Services (VAS) (i-e VoD, Live, HD Box, HD Box Smart, Unlimited Bundle etc.) activations will not be started. Pre-subscribed VAS will function as subscribed.